Hollywood actor Morgan Freeman has provided the voice for an AI assistant created by Facebook’s Mark Zuckerberg. Mr Zuckerberg said he asked the actor, who was chosen by the public, after an awards ceremony earlier this month. The Facebook co-founder coded the AI assistant – called Jarvis, after the butler in Iron Man – for his home. If he decides to release it to the public, people would relate differently to a famous voice than more robotic sounding assistants, tech experts said. Mr Zuckerberg asked his Facebook followers to pick the voice after building artificial intelligence to help him around the house. He told tech news site Fast Company that he called Mr Freeman after the actor presented the Breakthrough Awards, a science prize co-founded by Mr Zuckerberg. Mr Freeman’s answer was “yeah, sure”, he added. Robert Downey Jr, who plays Iron Man, had offered to voice Jarvis, while Arnold Schwarzenegger features as an alternative, disciplinarian voice in jokey videos released by Mr Zuckerberg this week. Experts in human-computer interaction said Morgan Freeman, whose roles have included God in Evan Almighty and the narrator in March of the Penguins, would distinguish Jarvis from existing AI assistants. Celebrity voices add to the “novelty effect” and might make it more enjoyable to interact with an AI assistant, said Dr Simone Stumpf, a senior lecturer at City University in London. “If a user is more engaged, then they might also be forgiving of mistakes, interact more – and thus provide more training data for the AI to get it right – and are less likely to abandon it,” she told the BBC. Apple’s Siri, Amazon’s Alexa and Google Home are bringing smart assistants into the mainstream. 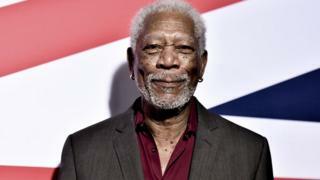 Morgan Freeman would be a different offering because he is more of a “grandfather figure” than a friend, said Dr Bernie Hogan of the Oxford Internet Institute. Research indicates it is often the attitude of AI, rather than the voice, which annoys people, said Yorick Wilks, professor of Artificial Intelligence at Sheffield University. “It may just be the user needs to choose voice, as they can now with Sat-nav, and also the personality of assistant or change it at different times,” he said. AI companies have also faced criticism for favouring female voices for the assistants. “The ‘gender’ of AI assistants has had its recent controversies, with some accusations of sexism aimed at companies who have chosen female voices, particularly where perceptions of their subservience or even sexual undertones may exist,” said Dr Rich Picking of Glyndwr University. Still, it could be a while before users are interacting with the dulcet tones of Mr Freeman in their homes. Mr Zuckerberg said he thought about opening up the Jarvis code, but decided “it’s currently too tightly tied to [his] own home”.